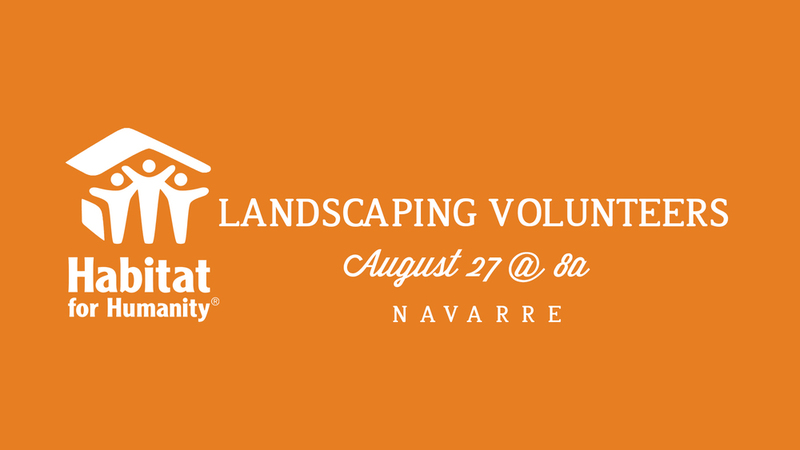 Join us on Saturday, August 27th from 8:00a-2:00p as we help Habitat for Humanity complete one of their first homes in Navarre. We will be doing Landscape work. Teens age 14-17 can participate as long as they have an adult with them. Come dressed in clothes that can get dirty and clothes toes shoes that are sturdy. Bring water and a bagged lunch. The team will break for lunch around 11:00a. Habitat needs 15 people to help. Together, we are helping Habitat build homes, community, and hope. Select * Question Count me In!